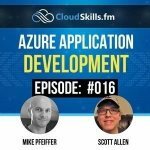 There's a new episode of the CLoudSkills.fm podcast available, and the episode features yours truly! There are hundreds of performance testing tools for the web. The tool I’ve been using the most for the last 10 years is a part of the web test tools in Visual Studio. Microsoft officially deprecated these tools with the 2019 release. The deprecation is not surprising given how Microsoft has not updated the tools in 10 years. While the rest of the world has moved web testing to open standards like JSON, HAR files, and interoperability with developer tools in modern browsers, the VS test tools still use ActiveX controls, and require Internet Explorer. Steve Smith recently asked VS Users what tool they plan on using in the future. In the replies, a few people mentioned a tool I’ve been experimenting with named K6. You can install K6 locally, or run K6 from a container. The documentation covers both scenarios. In addition to the docs, I’ve also been reading the Go source code for K6. I’ve had a fascination with large Go codebases recently, although I think I’m ready to try another new language now, perhaps Rust or Scala. There were a few features of the Visual Studio test tools that made the tools useful and easy. One feature was the test recorder. The test recorder was an ActiveX control that could record all the HTTP traffic leaving the browser and store the results into an XML file. The recorder made it easy to create tests because I only needed to launch IE and then work with an application as a normal user. Although XML isn’t in fashion these days, the XML format was easy to modify both manually and programmatically. The tools also offered several extensibility points you could hook with C# for pre and post modifications of each request. K6 also makes test creation an easy task. Any browser that can export a HAR (HTTP archive) file can record test input for K6, and the developer tools of all modern browsers export HAR. Here is what the generated code looks like. There is an entire API available in K6 with extensibility points for cross cutting concerns. 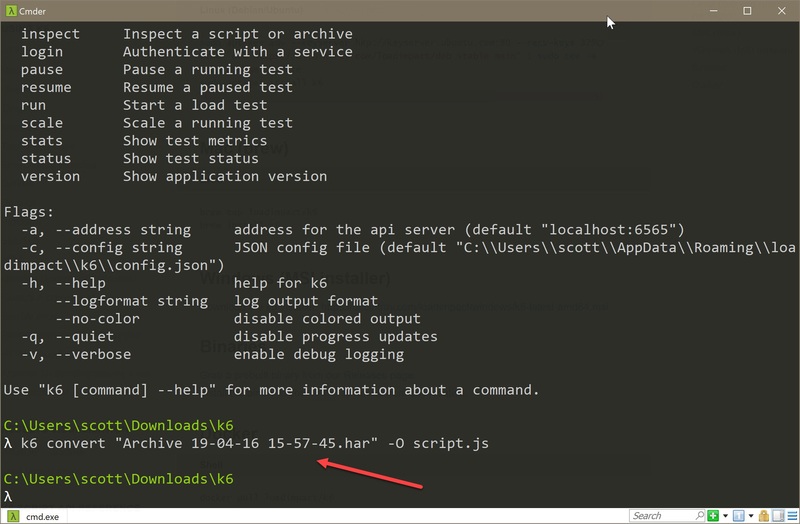 With a script in hand, you can now run load tests from k6. The above run was with a single VU – a single virtual user, but you can add more users and run k6 in a cluster, or in the cloud. In short, K6 has all the features of Visual Studio Load Tests, although with no UI tools for beginners. However, the APIs and command line are easy to use and rely on standard tools and languages. The current Azure load test offerings require either a web test from Visual Studio, or, a single URL for a simple test. Until this Azure story improves to add more sophisticated test inputs, K6 is a tool to keep in the toolbelt. 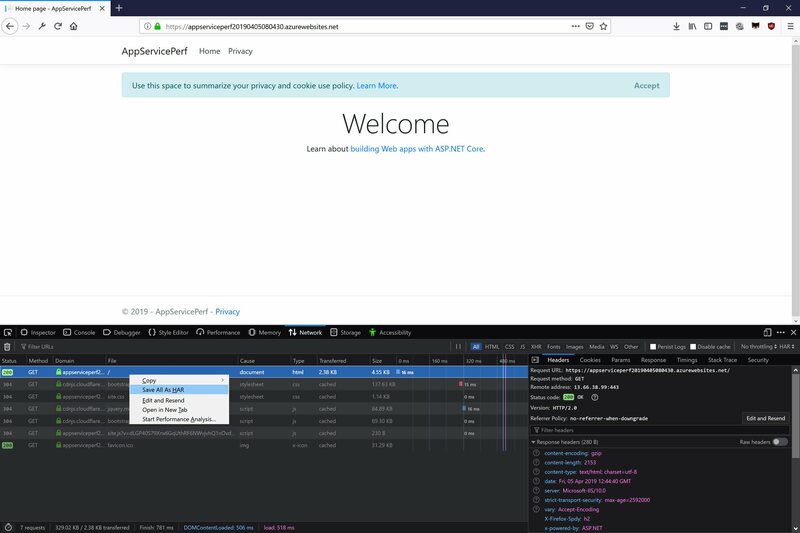 There is a special moment of time in the life of every ASP.NET Core process when the application has all the services registered and all the configuration sources in place, but has not yet started to listen for HTTP messages. This is a moment in time you can seize and use to your advantage. I tell people to think of their ASP.NET Core application as a console application that happens to listen for network connections, because there are many useful tasks the application can perform at development time and in production. Examples would be tasks like migrating database schemas, clearing a distributed cache, and creating storage containers. Let’s drill into database migrations. Many people will say we need to keep automatic migrations out of web applications because the results in a server farm are unpredictable. Good advice! I’m not suggesting you implicitly run migrations as a side-effect of the first HTTP request. I’m promoting the use of the application to explicitly run migrations when the app receives the right command line parameter. Think of the parameter as an automation point, and you can now migrate a database from a deployment script, or from a development shell. Another objection is how executing utility tasks in the application feels like a violation of the single responsibility principle at the application level. 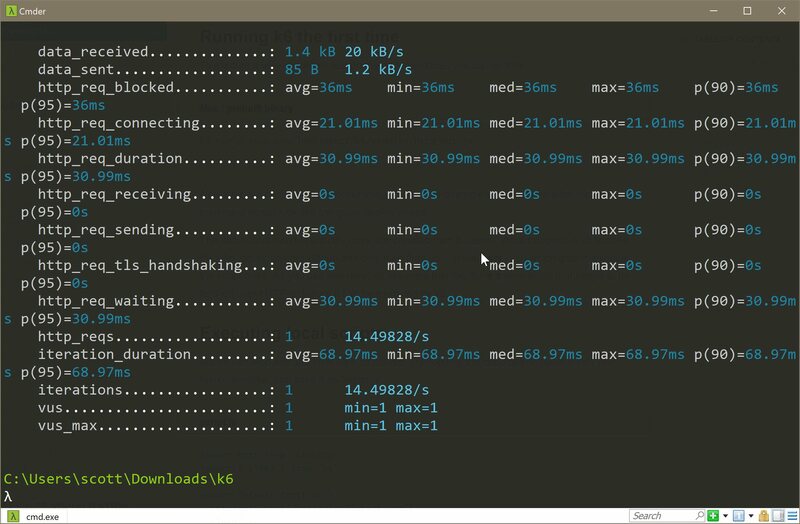 Why not build a separate console application to execute utility tasks and leave the main app for processing web requests? This is possible, but you’ll find yourself needing to reuse or duplicate configuration code from the web application. Using database migrations as a concrete example again, there is a lot of work that goes into building the right services and configuration for a specific environment, including non-trivial steps like connection string decryption and network communication with key storage services. The app, assuming it works, is setup perfectly to have everything in place for a specific environment like production, staging, or development. Here’s another example of something I’ve done in the past. On this project I could run the following command to drop the development database, recreate the database using migrations, seed the database with data, and then exit instead of entering into web server mode. The overall theme here is not about database specific tasks, but about automating common tasks to make development, testing, and deployments faster and more repeatable. The perfect tool for these jobs might just be the application you are already have! The Configure and ConfigureServices methods in ASP.NET Core tend to become bloated in larger projects. The problem is that larger projects can require lots of configuration, and the configuration requires lots of options. You open a project and there are dozens, even hundreds of lines of code, to configure OIDC, Swagger, authorization policies, data services, claims transformations, cookie options, CORS policies, domain services, and the list goes on and on. I encourage team members to use extension methods so each line of code in the Configure methods is simple and the configuration details are hidden (yet easy to find by navigating with F12). ... Provide a high-level overview of the app configuration, but keep the details encapsulated. Hide the configuration details in extension methods which are easy to find. There’s also a good chance you can re-use some of the extension methods, particularly in a micro-services environment. However, the primary focus is to make the startup code usable and readable, not re-usable. I must admit, my first instinct when seeing any email with the word cyber in a 24 point font is to banish the message into a spam bucket, but something kept me around long enough to follow a link to GitHub. Lo and behold! Here was a connection string with the username and password to an Azure SQL instance using a familiar naming convention. To make a long story short, yes, someone outside the company accidentally checked in some test code with a connection string into a public repository. There are many stories to tell here, but one story is another angle on the evolution of Microsoft. There was a time when the company shipped the world’s largest target for viruses and malware with no protection from viruses and malware installed. We were left to protect ourselves. The plan worked well for developers and other software savvy individuals, but not so well for the average user. Microsoft is now more aggressive and proactive about security, which is good for everyone. One additional piece of information. Alerts like the one shown here are obviously important. But, by default the alert only goes to the subscription owner. You can change this setting in the portal by going into Security Center and opening the Security Policy blade. In the policy blade you'll see a list of subscriptions each with a link to configure settings. Click on the link and you can then go to Email notifications and configure a group email address.